The submarine-launched, multi-role IDAS missile system is developed by Diehl BGT Defense and ThyssenKrupp Marine Systems. Image: courtesy of Stahlkocher. A model of the IDAS missile was displayed at the Defense & Security exhibition in Bangkok in March 2012. Image: courtesy of Diehl Stiftung & Co KG. The IDAS missile is equipped with four foldable control fins. Image: courtesy of Diehl Stiftung & Co KG. The Interactive Defence and Attack System for Submarines (IDAS) is a submarine-launched, lightweight, multi-role, fibre-optic guided missile system being developed for the German and other partner navies. This weapon is designed to provide improved self-defence and asymmetric warfare capabilities for submerged cruising submarines. It enables the submarines to engage threats from anti-submarine warfare (ASW) helicopters, small- and medium-sized surface vessels in covert operations, and pre-selected coastal targets. The missile was displayed at NAVDEX 2015 naval defence and maritime security exhibition that took place in Abu Dhabi in February 2015. The U212 submarine is capable of long-distance submerged passage to the area of operation. The IDAS Consortium comprises Diehl BGT Defense, the prime contractor, and ThyssenKrupp Marine Systems. Diehl BGT Defense is responsible for the production of the missile and its fibre-optic system, while ThyssenKrupp Marine Systems will oversee the development of the launching container and the integration of the missile system into the submarine. In May 2013, ThyssenKrupp Marine Systems and Diehl Defence signed a cooperation agreement with Turkish firm Roketsan for the development and supply of an IDAF warhead and testing of control actuation system (CAS). Norwegian company Nammo has been selected to develop and produce a rocket motor for the IDAS. 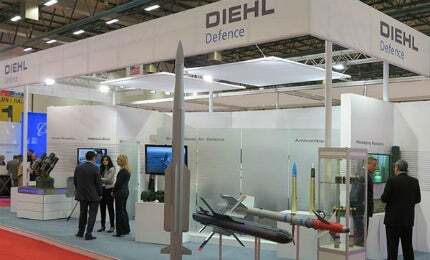 Germany offered an opportunity to Turkey for its participation in the IDAS missile system in February 2015. A prototype of the IDAS missile system performed its maiden flight from an underwater test facility in Northern Germany in 2006. It was successfully launched from the German Navy’s class 212A submarine in the Baltic Sea in 2008. First test launch of the Royal Norwegian Navy’s Ula-class diesel electric submarines is expected to take place in 2015. The IDAS missile system comprises three major components including a missile, a launching container, and combat system (CS) integration. The weapon has high single-shot kill probability and can be deployed under all climatic conditions. It offers a high degree of precision hit performance on determined impact points. The 2.5m-long missile has a diameter of 180mm and a launch mass of 120kg. Its foldable wing assembly and strakes provide support and guidance in the launching container. The weapon is fitted with an electro-mechanical control actuation system with four foldable control fins. It also features a fibre-optic bobbin system with four bobbins. The missile tail and launching container have one bobbin each, and the compensation buoy of the missile’s separable rear section has two bobbins. The guidance section consists of a high-precision imaging-processing infrared (IIR) seeker, autopilot, strap-down inertial reference unit, and guidance electronics. This IIR seeker provides autonomous guidance for the missile by allowing it to search, detect and acquire the targets. The autopilot is used to navigate the weapon. "The IDAS is designed to provide improved self-defence and asymmetric warfare capabilities for submerged cruising submarines." The IDAS is controlled from the missile weapon control system, which is integrated into the submarine’s weapon control system. Operators can control the weapon during the entire flight, and perform in-flight retargeting and mission abort. A fibre-optical data link is installed to transmit target bearing and target distance information from the submarine’s control system to the missile. It also transmits digital seeker images from the missile to the weapon control console. A multi-purpose warhead, weighing up to 20kg, enables the missile to provide active defence against air, sea and land targets. The IDAS weapon is launched from a launching container, which is loaded in the submarine’s torpedo tube. The launching container is capable of storing up to four ready-to-launch missiles and hydraulic-mechanical expulsion of the missiles. This container has provision for glass fibre bobbins for each of the four missiles. The missile is motorised by a single-stage, solid propellant rocket motor operating at different thrust levels.